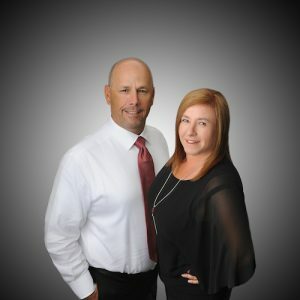 As full service Greater Riverside Real Estate Professionals, our goal is to help our clients either buy or sell real estate for the best possible price, within the time frame that fits their plans, and to make their buying or selling experience as efficient and stress free as possible. From our very first meeting to the final closing, we are dedicated to providing you with best-in-class service, helping you buy or sell your home. Equipped with the finest tools and technology, we will guide you through your real estate transaction every step of the way. Our Agents are experts in their local market and bring vast knowledge and expertise about the real estate industry to play. We hold a commitment to stay in constant communication with our clients, keeping them fully informed throughout their entire buying or selling process. The DeBonis Team takes pride in our long term relationships with our clients, and values their trust and friendship above all else. Today’s buyers and sellers need a trusted resource that can guide them through the complex world of real estate. With our extensive knowledge and commitment to providing only the best and most timeliest information to our clients with honesty, integrity, and second to none service, we are your go to source for real estate industry insight and advice. The internet has dramatically changed the real estate industry. According to the National Association of Realtors, over 90% of all home buyers begin their search online. Today’s internet driven buyers are not driving around looking for homes for sale or for open houses, they are searching from the comfort of their homes using their desktop computers, laptops, and portable devices. Also, print media does not have the strength that it once had when it comes to selling your Inland Empire home. In order to get your home marketed to the largest number of buyers, your home must be marketed online. The use of print media and open houses as a primary marketing tool is becoming less and less effective with today’s tech savvy buyers. The DeBonis Team are experts when it comes to internet marketing. Getting your home the maximum online exposure is what we do better than any other Inland Empire area Realtors. We understand what it takes to get your home sold quickly, and for the highest possible price. Our Team advertise our listings 24-7, utilizing every strategy and technique possible for marketing real estate online. Each and every one of our listings are syndicated to all of the major real estate websites, as well as receive a custom webpage for each and every one of our clients properties, in order to ensure that all of our listings can be easily found on the web. Was Your Home Listed and Didn’t Sell? Was your home listed with an Inland Empire Broker but it didn’t sell? Do not worry, there are many reasons why homes do not sell. In some cases, it may be priced too high. However, the most common reason homes do not sell is the listing agent did not properly market your home. All homes are different, and require a marketing plan customized to that specific home. All too often, agents snap a few pictures with their smartphones, and put a “For Sale” sign in the front yard, and then expect the home to sell itself. This strategy is completely ineffective because your home needs a customized online marketing plan that will expose your home to the highest amount of possible buyers in the least amount of time. The DeBonis Team excels in seller representation. We take pride in our ability to enter a home, and evaluate all of its unique features and amenities, and then put together a successful marketing plan to get it sold. We have made it easy for a seller to learn what their Inland Empire home is worth. You can receive an instant Property Valuation Report. However, this is not designed to replace meeting with a real estate agent in order to determine your home’s listing price. The Home Valuation Report was created in order for you to have a better understanding of your home’s value prior to meeting with a realtor and deciding whether to place your home on the market. If you would like to gather additional information about selling your home in today’s market, or are looking to purchase your first home, are looking downsize or are in need of a larger home, please contact The DeBonis Real Estate Team by calling or texting us at (951) 203-4426, and learn all about Real Estate in the Greater Riverside area.